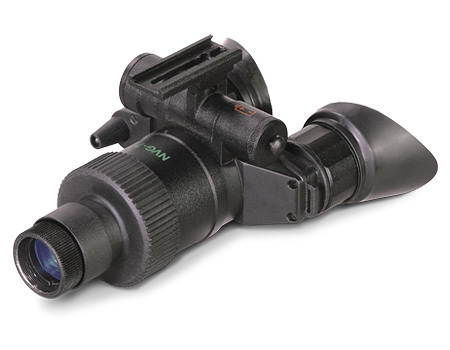 NVG7-3 is a single-tube Night Vision Goggles built around High Grade 18 mm Gen. 3 Image Intensifier Tube and utilizes a pseudo-Binocular design for added observation convenience. NVG7-3 Night Vision Goggles has a built-in IR light source for close-up illumination in complete darkness. Lightweight, rugged and a top-notch performer, the NVG7-3 Night Vision System is an exceptional choice for hands free usage. The NVG7-3 is available with a wide range of Image Intensifier options to meet a wide array of specification requirements. See our Military Section for information aboutNVG7-3 with other Image Intensifier Tubes. 6.7" x 2.5" x 4.0"